Made from different types of saffron coupe threads. 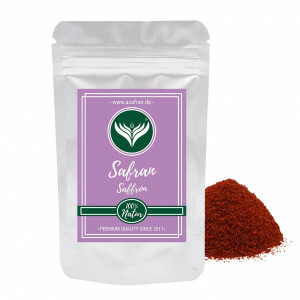 Our saffron powder comes in aroma bags with 5 grams. Our saffron is so potent that it has a colour value of over 200 according to ISO 3632-2, which places it in the top category for saffron.